Natalie Chiverton is a Herfordshire based Wedding Photographer, with a light, elegant and classic documentary style of photography. 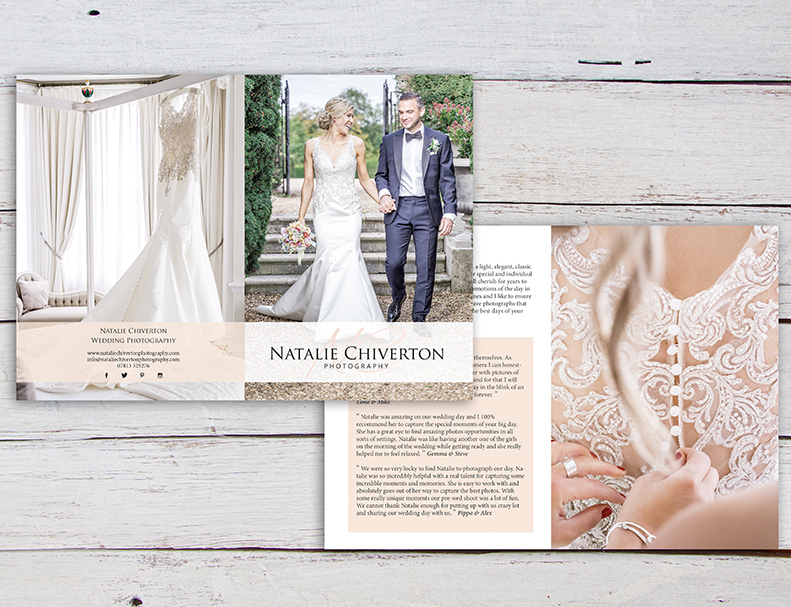 Natalie engaged Natty Designs to design an A5 leaflet and price list, to help promote her wedding photography service. Her stationery was printed onto a luxury, soft textured paper stock for a tactile, cotton like feel. 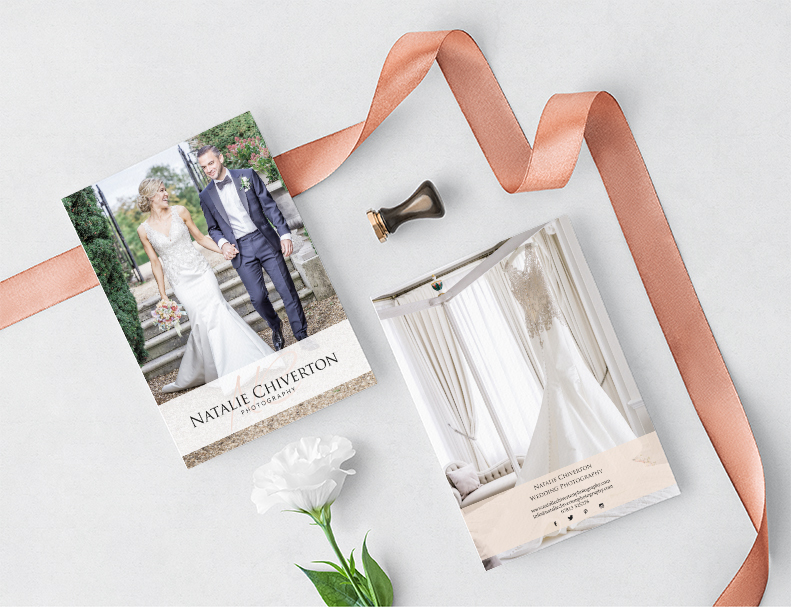 “My leaflets are absolutely beautiful and are exactly what I had envisaged!” Natalie Chiverton – Natalie Chiverton Photography.